Pete’s going to be busy for a while, so there’s a good chance we’ll have a new manager – maybe a new owner (not to mention the possibility of a new prime minister) – before he gets back to this series. In the meantime, here’s his take on relegation number 4. After the Coventry fiasco, we languished in Division Two for a mere two seasons. Ken Knighton took us up, was replaced by Alan Durban and we settled for (relative) mid table obscurity under the tennis playing Welshman. We had some decent players – Ally McCoist came from St Johnstone, Frank Worthington from Leeds United and Jimmy Nicholl arrived from the USA. Young players like Colin West, Nick Pickering and Barry Venison were promoted to the first team and there was a feeling that we were building something. Ha!! Chairman Tom Cowie and Durban fell out over who knows what. Rumour has it that (like all good Tories) Cowie wanted cuts made to the playing budget and Durban, from ultra-working class Port Talbot, didn’t agree. Whatever happened, Durban was sacked in February and was replaced by Len Ashurst, who steered us to the dizzy heights of 13th, which is almost as good as that which Steve Bruce achieved 25 years later. Ashurst had played 452 games for the club between 1958 and 1970, forming exactly 50% of the famous “Cec and Len, Flowerpot Men” full back pairing. Adored because of the winning goal he scored against the Mags at Roker in 1963, he had had a successful time managing Hartlepool United, Sheffield Wednesday, Newport County (who he took to a European Cup Winners Cup Quarter Final) and Cardiff City. In the twelve games he had left, he oversaw a rise up the table and a clutch of wins and he promised that the good times would return under him. Len was busy in the close season. He brought in a whole raft of players. 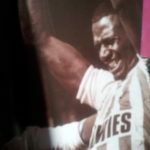 Gary Bennett followed him from Cardiff, fellow Scouser Howard Gayle came from Liverpool, flying winger Clive Walker left Stamford Bridge for Roker and Steve Berry came from Portsmouth. Nowadays, we would have looked him up on the internet. In 1984, we didn’t have a clue who he was. We got off to a good start. Southampton were dispatched on the opening day, with Gary Bennett opening the scoring in the fourth minute and Mark Proctor and Barry Venison rounding it off. 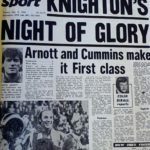 Defeats at Chelsea and Forest prompted Ashurst to bring in three experienced and well established players in David Hodgson, Peter Daniel and Rodger Wylde and the season began to settle down. By the end of November we were very comfortably in mid table and had seen off Palace and Forest in the League (Milk) Cup, the latter thanks to a sensational goal from Howard Gayle. One of Roker’s best ever games came at the end of November as Manchester United, managed by Ron Atkinson and featuring Bryan Robson, Norman Whiteside and Mark Hughes were seen off 3-2. All five goals came in the first half. Robson and Hughes put United two up, then Clive Walker pulled one back immediately, running onto a superb flick by Colin West. Two minutes after that, David Hodgson and Mark Hughes got involved in a wee spat which involved elbows (Hodgson), slapping (Hughes) and pretending to be hurt so you don’t get sent off (Hughes – who else). Referee Gordon Kew dismissed both of them, prompting comments to the linesman from Sunderland Assistant Manager Frank Burrows and United supremo Ron Atkinson. By half time, Atkinson was an ashen faced supremo as we were ahead through Clive Walker who converted two penalties. The first one was given for a foul by Gary Bailey on Gary Bennett (who may have had a beard), the second when Gordon McQueen hacked down Stan Cummins. Both penners were tucked into the bottom right hand corner of the Roker End goal and we hailed the new penalty king of Sunderland. Hubris was awaiting us……. We ticked over well enough and brought in Reuben Agboola and Ian Wallace to strengthen a squad that was beginning to struggle. There had been a particularly nasty derby game at The Sports Direct on New Year’s Day, where Bennett and Gayle were racially abused by the crowd. Both were sent off as a Beardsley hat trick consigned us to a 3-1 defeat and we never really picked up the baton in the league after that. The Milk Cup was different. Chris Turner had prevented a Tottenham win at Roker with a superb display of goalkeeping and we had won the replay at White Hart Lane with goals from Walker and Gordon Chisholm. Another Walker goal had done for Watford at Vicarage Road and we looked forward to a two legged semi-final with Chelsea. I missed the first leg at Roker due to appearing as an Ugly Sister in Cinderella (no makeup required) and had to watch the two Colin West goals that gave us a narrow 2-1 win on television after I had completed my thespian duties. I also missed the appalling behaviour of the Chelsea “supporters” as they trashed their section of the ground and who were to disgrace themselves even further three weeks later. By the time we pitched up at The Bridge on March 4th, we had slid down to 18th and there was a distinct feeling amongst the support that Ashurst was struggling with his squad. He frequently changed the team and appeared to be at a loss as to what to do. But we were one game away from Wembley and we clinched a place with a stunning 3-2 win over Chelsea which saw the worst scenes of hooliganism that I have witnessed. The whole day had been frightening. We drove down and, foolishly, put a scarf on the parcel shelf at the back of the hire car. Coming into London, we were eyed up by a car load of Neanderthals who chased us until we managed to shake them off. We parked the car near to the ground, discarded any colours and set off in twos, with strict instructions not to speak in case our accents were picked up. As we approached the slum that was then Stamford Bridge, we were separated. I was with Steven Wilson and we got in the Sunderland end. 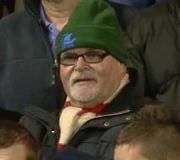 Pete Horan and Dougie Bones ended up in The Shed, where they stood with their hands in their pockets and their collars turned up for the entire game, applauding when Chelsea scored and shuffling their feet when we did. League form continued to slump, although a 3-1 win at Carrow Road against Milk Cup Final opponents and fellow relegation strugglers Norwich City gave us breathing space. Ian Wallace scored the clincher there and that got him a place in the Cup Final team above Colin West. It proved to be a mistake almost on a par with calling referendums and general elections when they are not needed. The final was lost when Gordon Chisholm turned in a cross from Asa Hartford and Clive Walker hit the post with a penalty. It was a poor game and our fragile confidence was shattered. We won one game out of the last twelve which included a 4-0 home defeat to Villa and a tedious goalless draw against the Mags. A fighting 2-2 draw at Old Trafford was irrelevant and we went down after losing 2-0 at Filbert Street in the penultimate game. The final game, a 2-1 defeat to Ipswich Town, was watched by a crowd of 9,398 on the day of the terrible fire at Valley Parade. I was at a Youth Workers course and didn’t know the score until I got home. Ashurst left at the end of the season as did a fair number of the players. But Big Chief Cowie had an ace up his sleeve in the form of one time Guardsman Lawrie McMenemy who was tempted back to his native North East by a considerable wad of money and the pick of Cowie’s Ford stock. Optimism abounded. If only we had known what was coming……..
Yes,we all can remember looking forward to progressing under the strong and stable leadership of McMenemy, the future couldn’t have looked any brighter.